BJP youth wing of Sikkim has announced to stage two-day long dharna from February 23 here in front of the DC office protesting the rampant corruption and failure of the state government to address the increasing problem of unemployment and suicides in the state. This was decided during a meeting of the youth front of the party at its zonal office at Singtam in East Sikkim on Monday. The meeting was attended by the state president, DB Chauhan, youth working president, Laten Sherpa and other senior leaders of the state-unit. 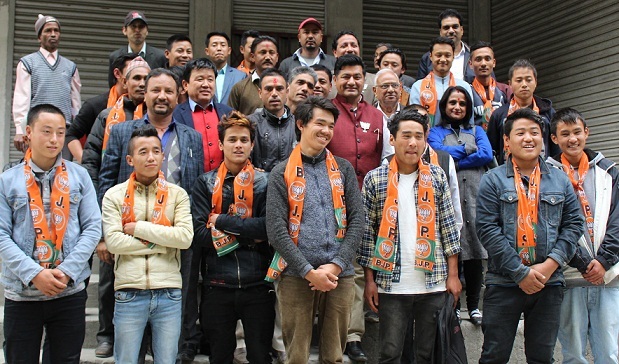 A statement issued by the BJP youth wing said 20 youths led by Arjun Subba and Rajib Subba from Gyalshing-Bermiok constituency from different regional parties joined the BJP on February 19. The party president administrated the oath to new office bearers. Madan Karki and Gopal Pradhan appointed as vice-presidents of East district, Jigdel Bhutia as treasurer, Shanti Sharma and LP Acharya as secretaries and SK Chettri as general secretary of East district.